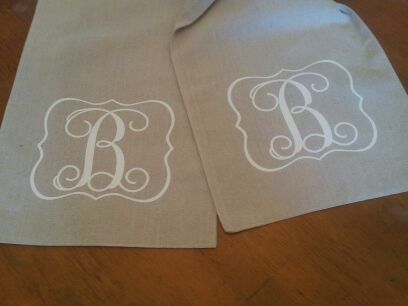 Super cute personalized Linen/Burlap look table runner. What's the best part? It's machine washable!! 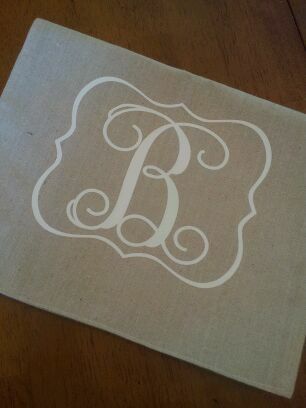 Can be personalized with a monogram or as pictured with a frame around the monogram (or initial). Limitless graphic possibilities! What would be perfect for you? !